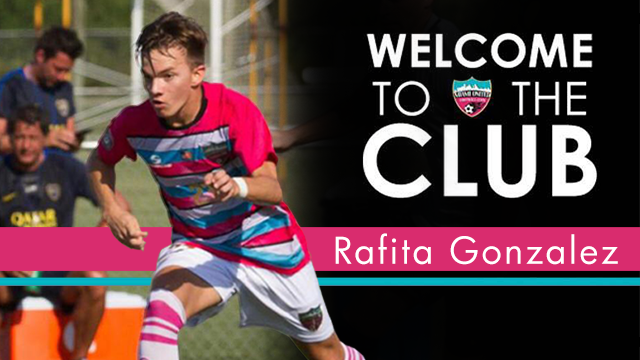 Coming from the youth sector of team B, the seventeen year-old Rafita described by the technical staff and by his own team mates as the new promise of North American football and more! “The field will be a judge, we the witnesses “ we’ll see . Said Roberto Sacca CEO of the Team. will be a very young miami united, built on with base of last season and the best local youngsters! “It will be the greatest team of all time “ !